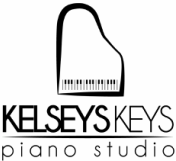 Kelsey's Keys is a private piano studio, based in the Stanley/Mount Holly area. A secondary location is also available in the South Charlotte/Ballantyne area. We offer piano lessons to students of all ages and abilities. It is our goal to train students to become independent learners by developing critical thinking while working through various piano repertoire. Kelsey's Keys is committed to presenting a well-rounded curriculum that fits each student's interests and unique learning style. Feel free to browse around this site! You will find more information about the piano studio, as well as practice tips and upcoming events. Looking to begin piano lessons? Curious about lesson format? 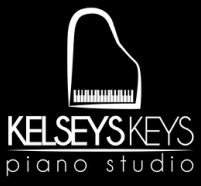 Contact Kelsey's Keys with any questions and to set up a free interview/consultation. This first consultation acts as an ice breaker, question & answer time, as well as a mini piano lesson. Congratulations to our five students who participated in the North Carolina Federation of Music Clubs (NCFMC) Festival this year. Each of them received a superior rating on their performance!